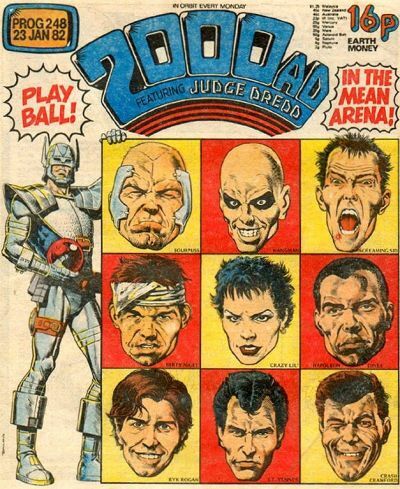 2000AD – the British comic of the future from the 1970s right up until today. 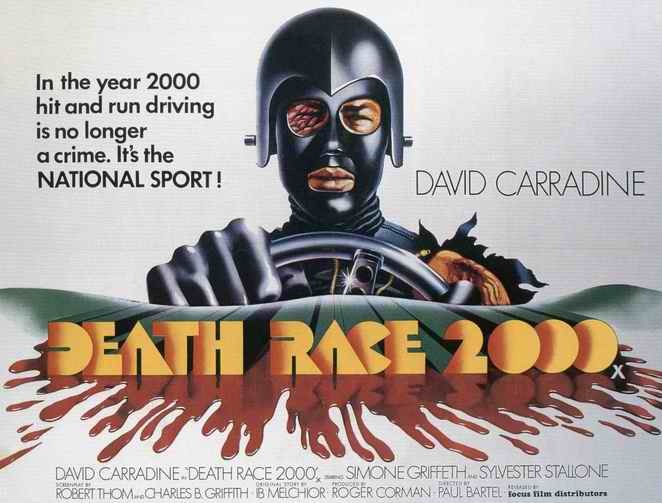 One of their favourite themes in the early years was future sport. 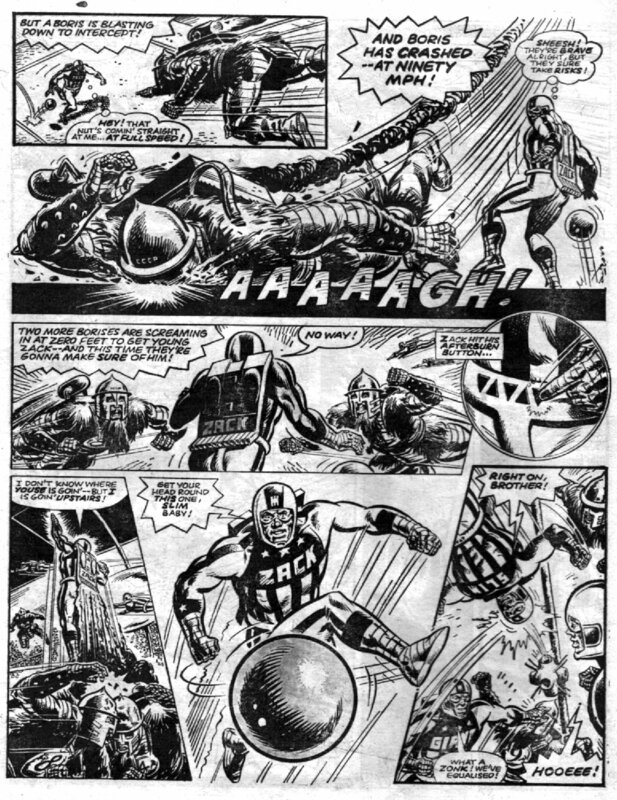 Early strips in 2000AD had some basis in popular culture (MACH1 was another take on the 6 Million Dollar Man, Judge Dredd a version of Dirty Harry/ Clint Eastwood) and so the first future sport strip ‘Harlem Heroes’ was probably influenced by the commercial success of Rollerball, the 1975 film starring James Caan. 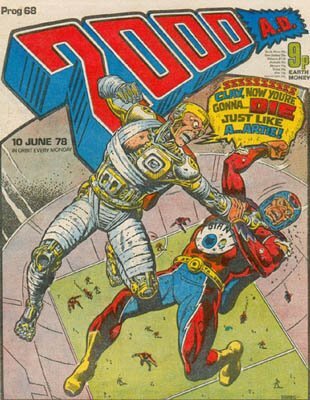 It is also worth noting that most British boys comics of the time had sports strips, from ‘Roy of the Rovers’ (who had graduated from ‘Tiger’ to his own comic in 1976) to ‘Look out for Lefty’ from ‘Action’ comic, which also had the prototype for future sport titles, ‘Death Game 1999‘. 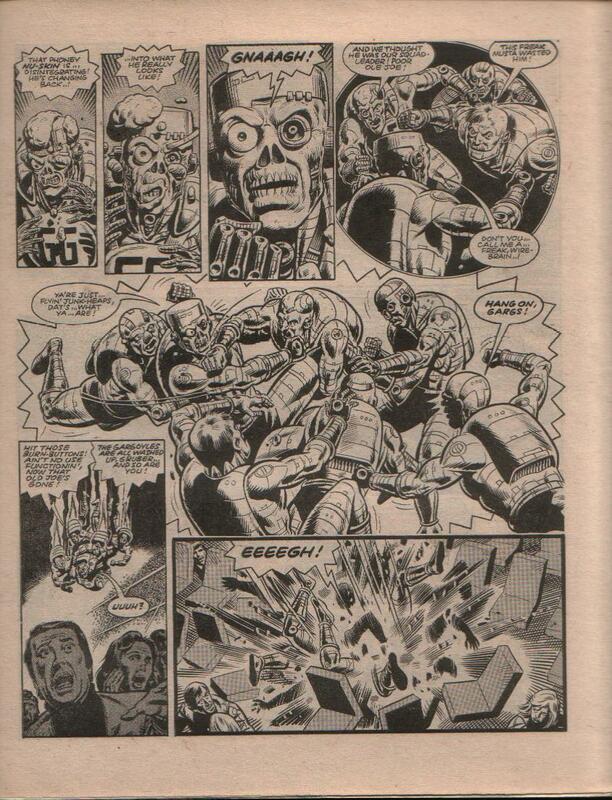 The strip was written by Tom Tully who went on to create both ‘Harlem Heroes’ and later on, ‘Mean Arena’ for 2000AD. 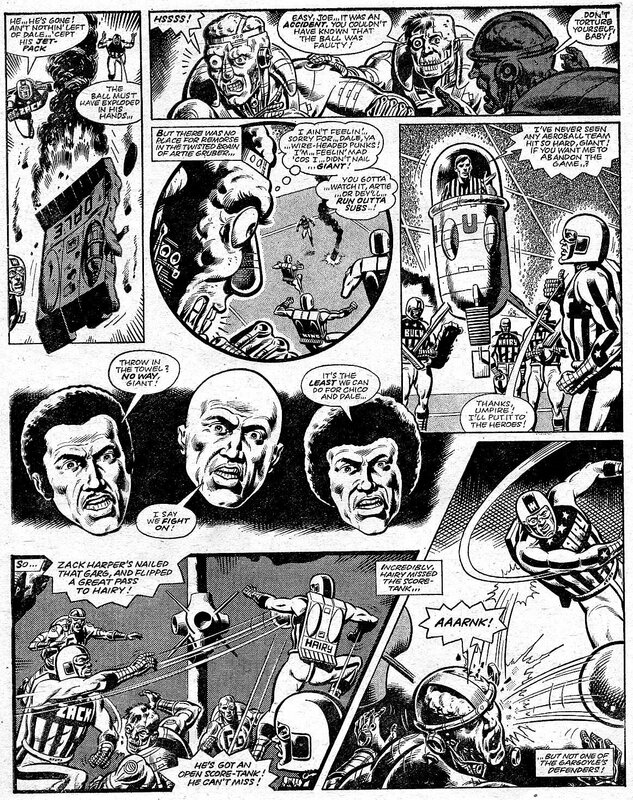 and the titular team are obviously inspried by the ‘Harlem Globetrotters‘ who had their own Hanna-Barbera cartoon series in the early Seventies. 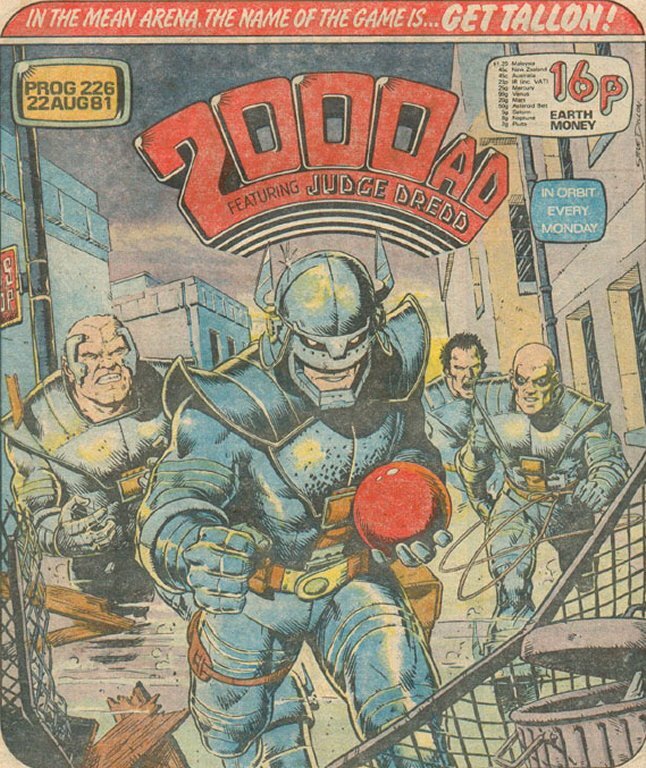 One of the main stars of the strip was the team captain, John ‘Giant’ Clay, and his character was one who would crossover into another title – a rare ‘cross-over’ event within the 2000AD universe – as he was the father of Judge Giant, an important figure in the early stories of Judge Dredd, who helped defeat the tyrannical Judge Cal. 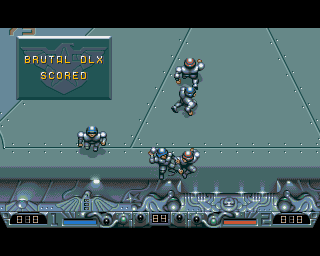 The series followed the fortunes of the ‘Heroes as they competed in the ‘World Aeroball Championship’. In a storyline reminiscent of the Munich disaster that claimed the lives of 7 Manchester United football players, the Harlem Heroes have to recover from the devastating loss of most of their team who are killed in a bus crash following a preliminary round victory. Subsequent episodes followed by the survivors and new recruits as they battled through the Championship against the likes of ‘The Baltimore Bulls’ and ‘The Siberian Wolves’. 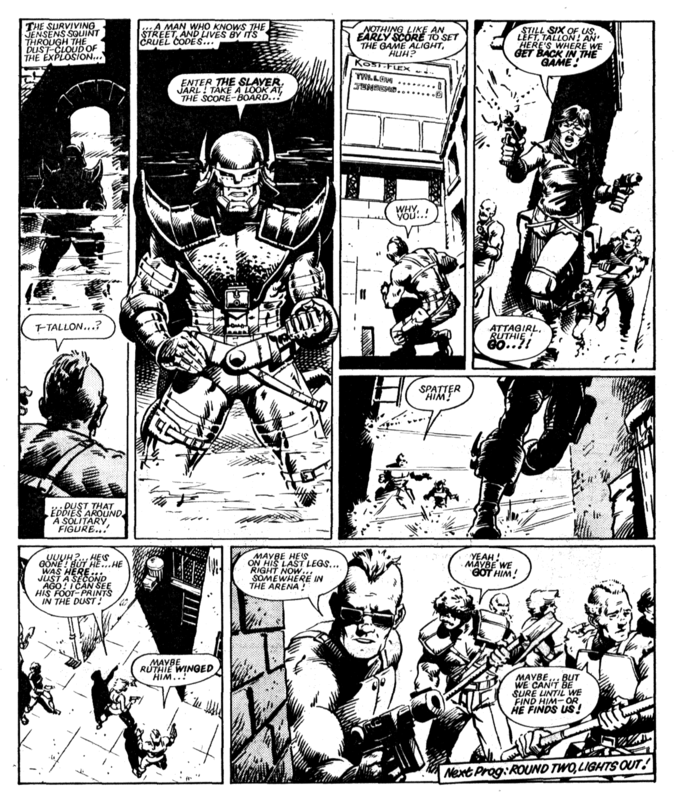 The early episodes were drawn by Dave Gibbons, but the amazing Massimo Bellardinelli took over the art duties on the final episodes and its sequel, Inferno. 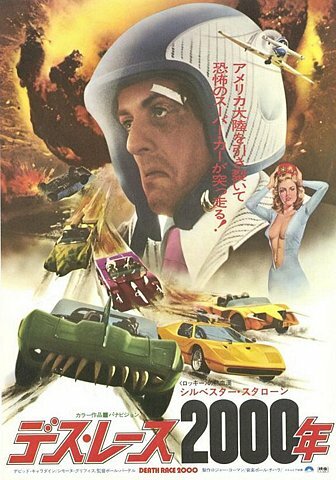 Inferno was the direct sequel to Harlem Heroes, again scripted by Tom Tully and illustrated by Bellardinelli. 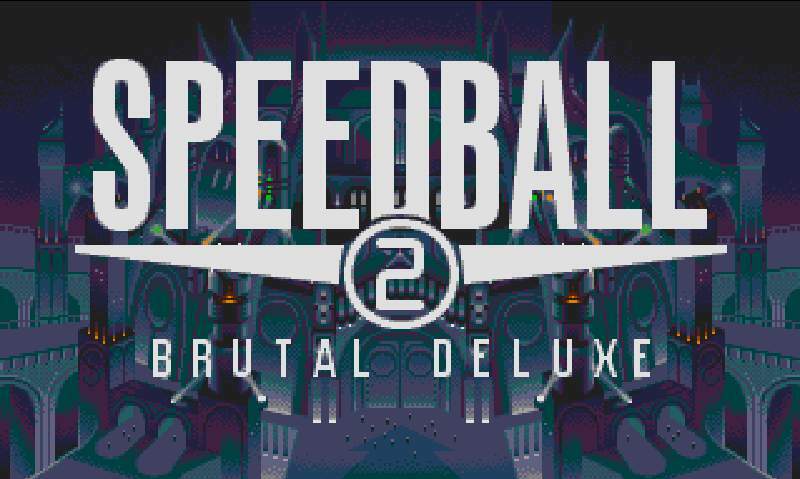 Billed as being ‘Deadlier than Aeroball’ on its very first page, it lived up to its promise. 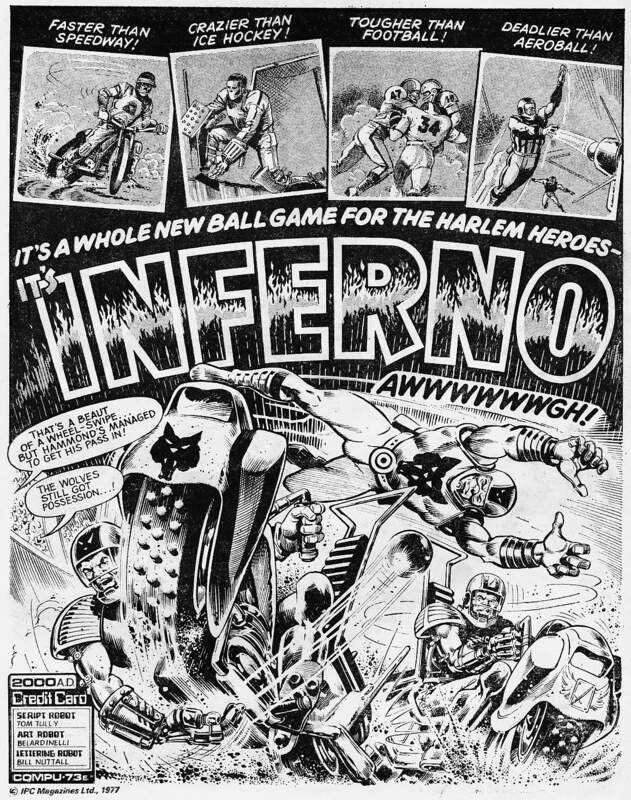 Overtly violent compared to its predeccesor, it followed the ‘Harlem Hellcats’ who were the rechristened, surviving ‘Harlem Heroes’ as they contested in ‘Inferno’, a legalised spectator ‘death sport’. 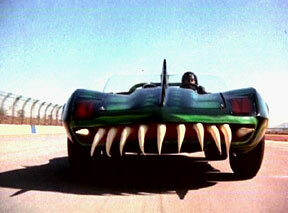 The plot wreaks havoc and death upon the team, with very few surviving to the gloomy, nihilistic finale. 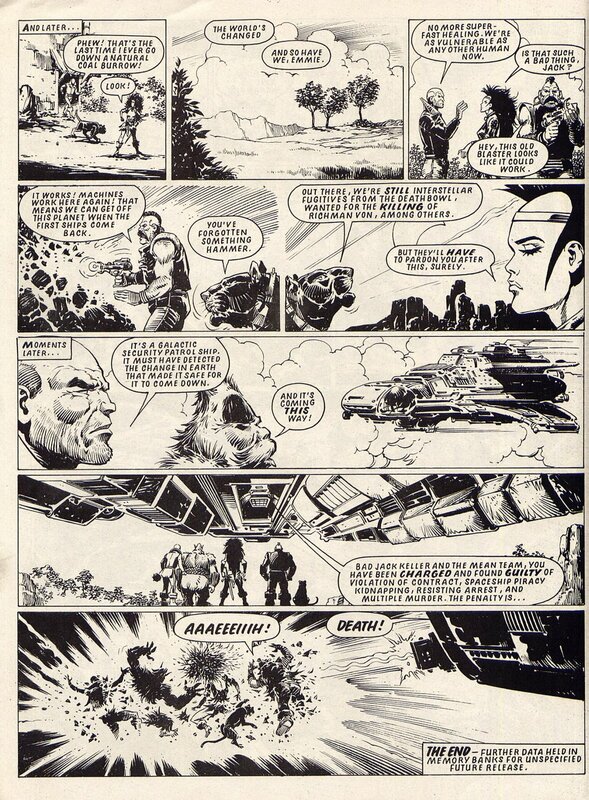 Even Tharg seemed to have had enough by then, popping up in the middle of a page in the final episode, adding narration and explaining another Hellcat loss, as opposed to Bellardinelli visualising it. All very brutal and downbeat. This wouldnt be the last time a strip would be ended so gracelessly (see the entry for ‘The Mean Team’, further down this post). That is ‘Bad’ Jack Keller finding the right combination of words to get some magical staff working to save himself and his fellow team members. 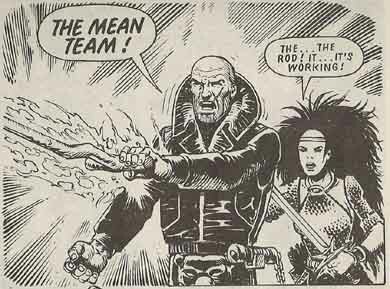 Lucky those words happened to be ‘The Mean Team’, eh??? 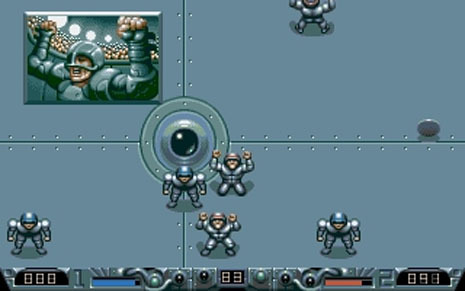 There were times when you could almost read the new instructions coming from editorial decisions panel by panel, as the future sport theme was clearly not working, so they changed tack so that the story turns into a sort of quest, followed by a last minute decision to ensure that most of ‘The Mean Team’ would not be coming back for a sequel – I mean, how abrupt an ending is this? succinctly puts it in a great article about the end of The Mean Team, it is probably the worst ending to a comic ever – it just feels like its execution (pun intended) is done on a whim, almost an afterthought to wrap up the story.